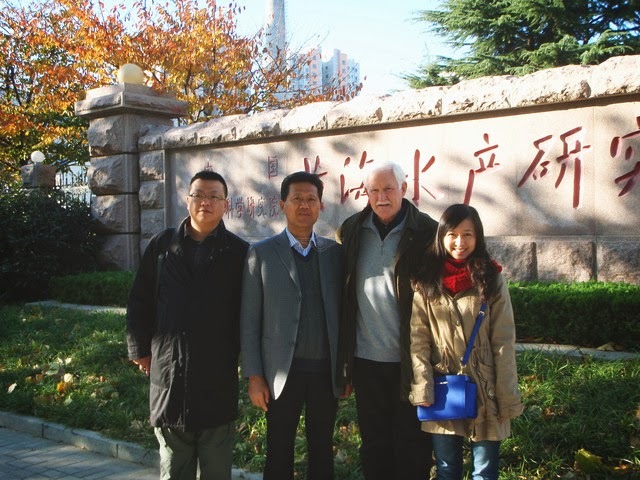 HTC President and Senior Instructor Chris Fitzgerald traveled to Qingdao, China the week of Nov. 20 to conduct hovercraft pilot and maintenance training at Yellow Seas Fisheries Research Institute. Brokered through China Haipai Hovercraft, Ltd., China’s most renowned aquaculture and marine science institutions will use a 4-passenger Neoteric hovercraft in their research operations. These include Shanghai Ocean University, the Ministry of Agriculture Ocean Fisheries Training Center, the China Fisheries Network, the Chinese Academy of Fishery Sciences and the Yellow Sea Fisheries Research Institute. Hovercraft Training Centers is honored to play a role in the important work of the vital work of these organizations, which are among the highest-ranking research institutes in the world. As the Bubba's Hover phenomenon continues to spread, HTC is traveling the world to train Hovercraft Golf Cart pilots! Watch Superior Golf and Spa Resort - owners of the first Neoteric Hovercraft Golf Cart in Ukraine - undergo pilot training on site in their new craft. And check back soon for the full story, with lots of photos! 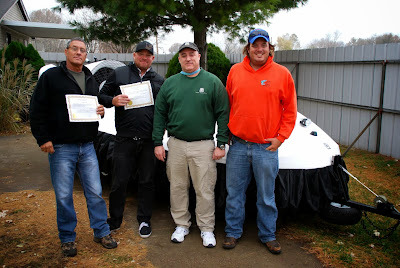 Ryan Peacock (second from left), and his coworkers complete HTC training with instructor Steve Stafford (third from left). Ryan’s 6-passenger Neoteric Hovertrek™ at home on Marco Island, Florida. That’s why HTC is here – and we're confident that Ryan and his professionally trained team are hovering on a real business boost for All Florida Watersports! 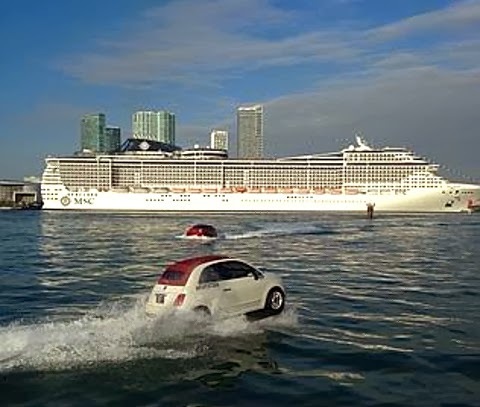 But wait – those Fiats are in no way hovercraft. They’re not flying on a cushion of air – they’ve just been made into boats by sticking a propeller or water jet beneath them. This is like calling a canoe a hot air balloon! Watch the video – would you call these hovercraft? You definitely wouldn’t after you take a Test Flight or go through Training at HTC. Rest assured – we use the real thing! Spread the word: Here’s another chance to help build the hovercraft used exclusively by HTC. Neoteric is now is adding to their staff of Fiberglass Laminators. Experience is preferred, but they’ll train the right applicants. They want team players with a strong work ethic and a dedication to maintaining quality while improving efficiency. You must be able to lift 50 lbs. and work on your feet an entire workday. If you’d like to help manufacture the world’s original and most innovative light hovercraft, just apply online, or email your cover letter, resume and references to hovermail@neoterichovercraft.com. HTC and Neoteric Hovercraft were a smash hit in Las Vegas last week, when the Neoteric Hovercraft Golf Cart was showcased at the 2013 Caesars Palace Great Gift Wrap Up for high rollers at the Flamingo Ballroom. 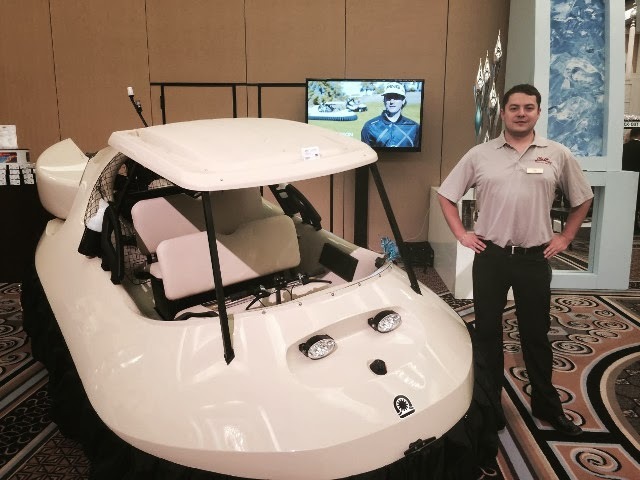 As Caesars Palace promoted it, "This is the first time a "jackpot" item is up for grabs: a Neoteric Hovercraft Golf Cart, an exact replica of the BW1 hovercraft golf cart Neoteric designed for Masters Champion Bubba Watson. As one of few built in the world, think of it as an ultra-modern golf cart - on steroids. Behind the wheel, be the James Bond of the golf course, as it effortlessly glides over fairway grass, water, sand traps and ice." But just as the D'Amicos quickly recognized, the Neoteric Hovercraft Golf Cart gives you an incredible drive even if you never swing a golf club. It meets all U.S. Coast Guard standards and can be flown on any waters, snow or ice worldwide. What other golf cart can you use for river cruising, island hopping, ice fishing, snowmobiling and even surfing across mudflats? This is it, folks. And here’s the real jackpot: Everyone who ordered Neoteric Hovercraft at the Great Gift Wrap Up gets a Standard Training Course at HTC – free! What else might Caesars Palace do with their Neoteric Hovercraft Golf Cart? Follow Caesars on Facebook and find out! 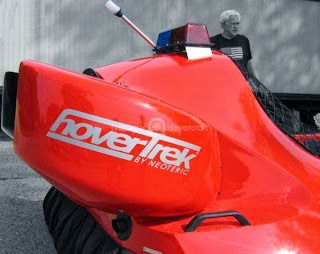 Want to play an important role in building the hovercraft we use for training at HTC – and join the team that Bubba Watson chose to build his BW1 hovercraft golf cart for the viral video Bubba’s Hover? For more than 50 years, Neoteric has been globally recognized for innovation and artistry in design, and this is your chance to be a hands-on contributor. 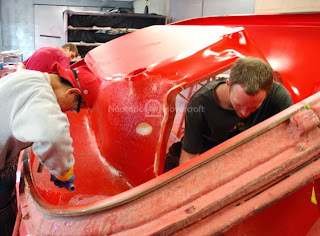 Neoteric is looking for a Fiberglass Supervisor to lead a crew of accomplished craftspeople. Their ideal candidate will have hands-on fiberglassing experience at a high-end boat or aircraft factory. The position offers a competitive salary along with health, vision and dental insurance – not to mention a stable career with a fast-growing, internationally-renowned company with clientele in more than 50 nations. If you meet the requirements below and would like to apply, you can complete Neoteric’s online application, or email your cover letter, resume and references to hovermail@neoterichovercraft.com. Neoteric Hovercraft, Inc. is the exclusive supplier of Hovercraft Training Centers’ training craft, as well as the manufacturer of Bubba Watson’s BW1 hovercraft golf cart featured in "Bubba’s Hover". But that, by far, is certainly not all they do! 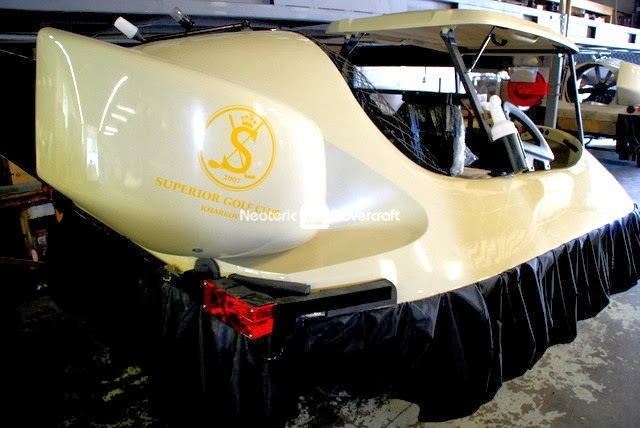 For example, HTC President/Senior Instructor Chris Fitzgerald and Neoteric VP Marketing Filip Przybysz recently returned from Ukraine, where they trained personnel at Superior Golf & Spa Resort to fly their new Neoteric Hovercraft Golf Cart – the first one in Ukraine. Custom decals decorated Superior Golf & Spa’s hovercraft golf cart before shipping to Ukraine. 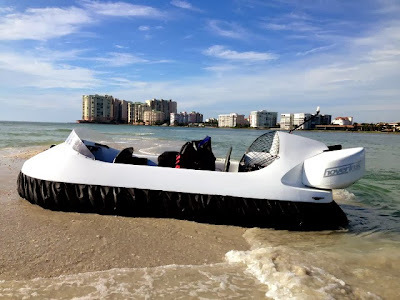 And Filip is now in Las Vegas, showcasing Hovercraft Training Centers and the Neoteric Hovercraft Golf Cart at the Flamingo Casino in the Caesars Palace Great Gift Wrap Up for high rollers – where a $1 million dollar cash prize will be given away. Check back for more about this major event! Caesars Palace Neoteric Hovercraft Golf Cart at “The Great Gift Wrap Up” in Las Vegas. Every order placed at the event receives a free Standard Training course at HTC. Neoteric Systems, LLC, a division of Neoteric Hovercraft, Inc., has posted a Web Developer job opportunity in addition to the Purchasing Agent opening announced earlier this week. 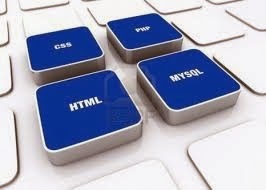 The Web Developer will work closely with the Neoteric team, including engineers, production supervisors, marketing staff and other personnel. Neoteric Systems develops ground-breaking products aimed at solving complex problems with web-based technologies. Starting salary is commensurate with experience and can be quickly increased based on your abilities and division success. Neoteric maintains a casual etiquette for employee comfort and practicality and offers an excellent benefit package including health insurance, paid holidays and vacations, and sick leave. 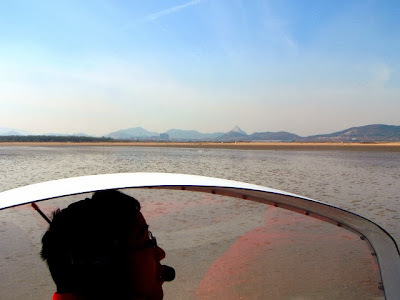 Take a Test Flight in a Neoteric hovercraft at HTC! Here’s your chance to work for the world’s original light hovercraft manufacturer, with customers in more than 50 nations – and join the team who created the world-famous BW1 Hovercraft Golf Cart for Bubba Watson. HTC trains exclusively on Neoteric hovercraft. Neoteric is currently seeking a Purchasing Agent for its Terre Haute, Indiana headquarters. This is a career opportunity with significant growth potential and Neoteric offers a competitive salary along with health, vision and dental insurance. If you meet the requirements below and would like to offer your skills to the Neoteric team, email your cover letter, resume and references to hovermail@neoterichovercraft.com. 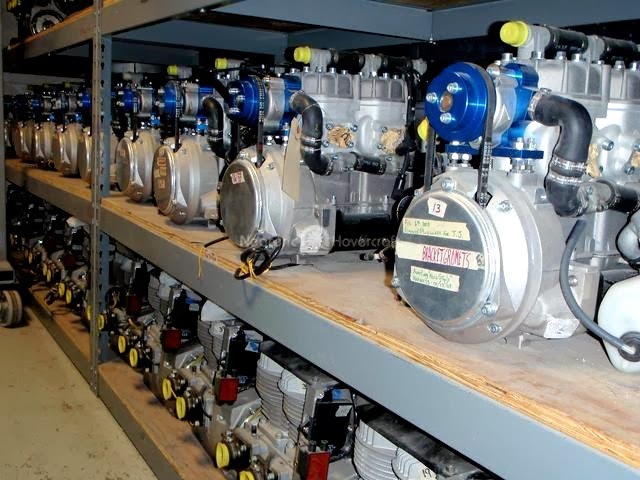 High power, low weight aircraft engines, stored in the Neoteric engine bay, await installation. The purchasing agent will be responsible for ordering all hovercraft components. and check back for more job openings to be posted this week.